Doll Clothes for Fashion Royalty and Barbie Silkstone. VM Design. Who I am and why I love fashion dolls. Greetings to all who came to my site about doll clothes. I’m Victoria Movichi – fashion doll clothes designer and stylist. Some people love American Girl, others – Barbie or Our Generation but my passion is Fashion Royalty. For more than 5 years I have been a collector of Integrity toys and Barbie dolls. Although in my large collection there are dolls from other manufacturers. Now, most of the collection consists of Fashion Royalty dolls. My first doll from this company was Dasha Purity Face. She just fascinated me. My favorite dolls are: Agnes von Weiss, Elyse Jolie, Eugenia Perrin, Vanessa Perrin, Adèle Makéda, Isha Kalpana Narayanan and of course all Dasha d’Amboise dolls. I can’t forget the impressions of the 2017 Convention Fairytales. There were a lot of incredible dolls there. Golden Erin Salston is the top of skill! It is awesome the Integrity Toys develops and gives us such magnificent dolls. They are a source of inspiration for many creative people. How I started to make clothes for Fashion Royalty dolls. Now I am a designer and stylist of doll clothes. In childhood, I painted sketches of models on paper. Then she began to sew and engage in modeling and coloring for adults and children. At the moment, most of the work I do for dolls. That’s how all life is connected with creativity. How to choose a bag and shoes for dolls in color and style of her clothing you will find in this blog. I collect materials and ideas for my designs everywhere. I love to design patterns, study old books in museums and libraries. It is very interesting for me. I studied various designing techniques for a long time. Now I apply them to build doll patterns. I do not use ready-made patterns from the Internet as they do not give a good result. I also love harmony in everything. Nature provides many beautiful color combinations. If you look at nature, you can learn a lot. To be able to create harmonious outfit, I learned how to make doll shoes and bags. Now I make doll shoes fit for Fashion Royalty FR2, FR6, NuFace, NuFace2 bodies. I select the color palette for each outfit. I work only with genuine leather. Sometimes I use natural jute rope. Genuine leather is strong and durable. Doll shoes look like real adult shoes by exclusive craftsmen. It does not crack like shoes made of artificial leather. What will you learn from this blog. I will show models of outfits of various styles: outfits in New Look, Empire, Vintage, Casual, Romantic styles created by me for Fashion Royalty and Barbie Poseable Silkstone dolls. You will also give you advice on how to combine styles and colors. I will make recommendations about fabrics properties and care of them. During my work, I learned to sew from different materials: cotton, linen, silk, chiffon, velvet and many others. I will teach how to make outfit colorings. I want to help everyone and give advice on how to select the colors of doll dresses and shoes for awesome harmony. Bag and shoes must be combined with clothes that are worn. I also have a lot of ready-made outfit designs for your dolls. Check my Instagram or Flickr. They were sold earlier, but you can order the same (depends on fabric availability) or similar clothing sets and accessories. Just contact me on Facebook to discuss the details. Answers to common questions about Fashion Royalty dolls. Fashion Royalty who’s who and what are Fashion Royalty dolls? So who are these dolls, what is this company? Integrity Toys is a company that was founded in 1995 in America. 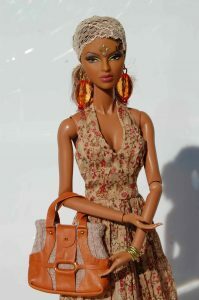 Fashion Royalty is a most known collection/line of Integrity Toys dolls. The creative director since 2000 had become a talented Jason Wu. Together with a team of enthusiastic people, he began to create the first Fashion Royalty dolls during these years. So in 2001, the first collection was born, it presented by two dolls – Veronique Perrin and Adele Makeda. Many years have passed since then. There are many new dolls. The company began to produce a new line of dolls: Poppy Parker, NuFace, NuFantasy, The East 59th® Collection, Victoire Roux, Industry. There were 1/4 Tulabelle dolls. But unfortunately in 2018, the company announced the closure of the 1/4 format doll line. Over the years, bodies have changed and new skin tones have appeared. Now the company has the bodies of such skin tones: Japan, cream, fr white, b-tone, latino, new hispanic, light honey, fr black. Each collector will find a doll that will be his muse and inspiration. Invariably one thing – these dolls are the queens for many people. Every year we are waiting for new collections, follow the news and gladly enter into the club of fashion royalty fans. What is Fashion Royalty W Club? W Club is a private club of doll lovers from the Integrity Toys company. Registration is carried out on the official website of the company at the beginning of each year and is valid for a year. For a membership fee of $50, members of the club receive many different options and offers. For example, the right to purchase 5 exclusive dolls, which will be released during the year only for club members. These dolls will be sold in the online store of the company and for their purchase will not need to contact dealers. And also there is a lot of different bonuses. Detailed information can be found on the website. Where to buy Fashion Royalty dolls? How to buy Integrity Toys dolls? The company posts news about the release of a new dolls collection, sends news to club members, then places information on its website. The press release specifies which dolls will be sold at dealers, which dolls you may buy by playing in the lottery, and which ones can be bought on the official Integrity Toys website via the online store. If you like the doll and it is sold through dealers, you can order it from them. You need to write to the dealer a letter and leave a request for a doll. Some dealers take a prepayment from 10% to 100%, some take payment later. You can read the conditions of each on their sites. Then, you have to wait for the official release of the doll. And as time passed, you can redeem your doll from a dealer. He will send it to you at the specified address. You can also buy Fashion Royalty dolls on Amazon and E-Bay. There are a large number of previously released dolls. Where to buy doll clothes for Fashion Royalty dolls? 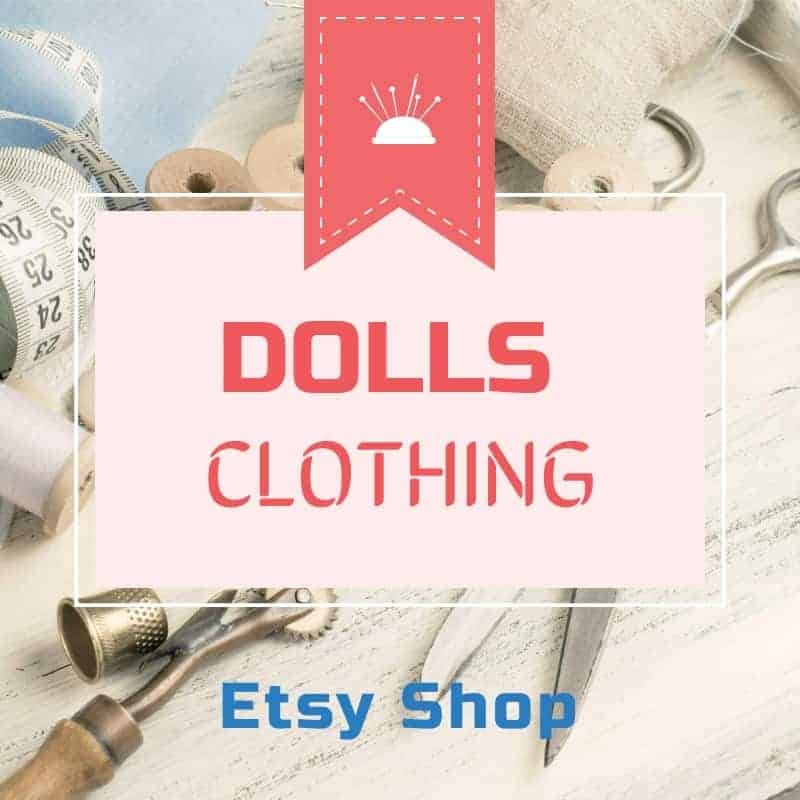 You can buy doll clothes on Amazon, E-Bay and Etsy sites. It can be new or used doll clothes unclothed from FR dolls. Also there are a wide variety of quality handmade doll clothes. In my online store you may buy doll clothes for Fashion Royalty, Poppy Parker, NuFace, The East 59th® Collection, Victoire Roux, Industry and Barbie Poseable Silkstone dolls. How tall are Fashion Royalty dools? These are dolls of 1/6 scale, they are taller than Barbie – about 12 inches (30-32 cm). If you put on a shelf with a stand and shoes with heels, then you need to take into 35-36 cm. Japan, cream, fr white, b-tone, latino, new hispanic, light honey, fr black. Are clothes and shoes from Fashion Royalty fit on Barbie? Fashion Royalty shoes do not fit on Barbie. Fashion Royalty clothes can only fit for one Barbie model. These are the upgraded Barbie Poseable Silkstone bodies that have joints in the knees, elbows and hands. They began to be produced after 2016 and have a smaller chest than the usual Barbie and waist similar to the waist of Fashion Royalty dolls. 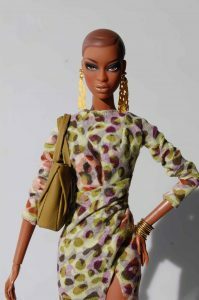 However, their height is slightly lower than Fashion Royalty dolls, so you should not buy long dresses, overalls and trousers even for this Barbie model. They may not fit at 100%. Victoria Movichi – fashion doll clothes designer and stylist. Genuine leather shoes in Moccasin color. Rare deep pink genuine leather shoes. Gray jersey dress for Fashion Royalty dolls. Light green shade chiffon dress. Doll Clothes for Fashion Royalty by Victoria Movichi Copyright © 2019.